LASIK, a laser procedure, is currently the most popular form of refractive surgery. 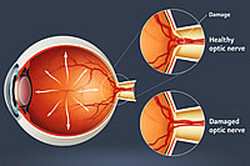 During the procedure, a surgeon will create a thin, circular "flap" in the cornea in order to access the underlying cornea (Stroma). Using an Excimer laser - a cool, ultraviolet light beam - they remove microscopic amounts of tissue in order to re-shape the cornea so that it can more accurately focus light on the retina, thereby correcting refractive issues that create poor vision. In most cases, laser eye surgery is completed within 15 minutes (for both eyes), is pain-free and improved vision is noticeable in as little as 24 hours. Not everyone is qualified for LASIK surgery. However, Optometrics of Chatsworth does offer LASIK consultations free of charge in order to determine if you are a candidate for the surgery. If you are in the Chatsworth, Northridge, Porter Ranch or surrounding San Fernando Valley areas and are interested in LASIK, please contact us at any time to set up an appointment so we can help you determine if LASIK is the right choice for you. also available. Please contact us to schedule.